Life emerged in Earth’s seas as single-celled bacterial organisms perhaps 4 billion years ago. 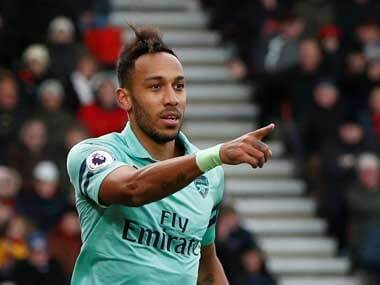 A Tottenham fan was fined on Tuesday for throwing a banana skin at Arsenal forward Pierre-Emerick Aubameyang after a court ruled it was a targeted incident with a "racial element"
External Affairs Minister Sushma Swaraj on Friday met Regis Immongault, the Minister of Foreign Affairs of Gabon. 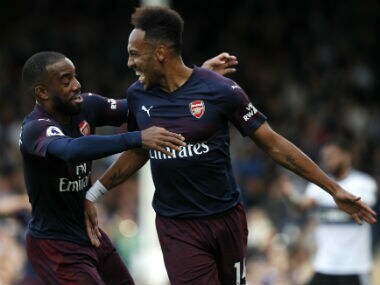 Alexandre Lacazette has spoken of his growing understanding with his "brother" Pierre-Emerick Aubameyang after the forwards propelled Arsenal into the top four of the Premier League. Southampton have paid a club-record transfer fee to land Gabon midfielder Mario Lemina from Juventus on a five-year contract, the Premier League club said on Tuesday. 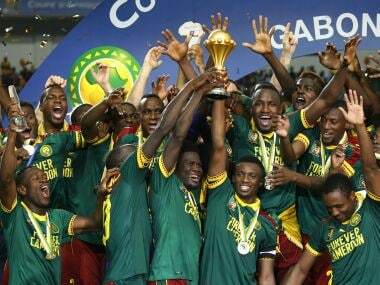 A young and inexperienced Cameroon showed much resilience and tenacity to overcome a much-fancied Egypt and win the 2017 Africa Cup of Nations.